Springfield Orthopaedic and Sports Medicine Institute offers cutting-edge, comprehensive care of the musculoskeletal system. Our practice is results-oriented, with an emphasis on providing the highest level of compassionate and professional service to our patients and their families. Our skilled orthopedic surgeons in Springfield and Urbana, Ohio are leading the field and are highly sought after in our area. Our on-site equipment, including digital X-ray, allows us to accurately diagnose and treat a multitude of orthopedic injuries from trauma to degenerative conditions like osteoarthritis. Focusing on the upper and lower extremities, we commonly treat trauma and injury of the arms and legs, including the hands and wrist. Our physicians have extensive experience in all aspects of orthopedics and sports medicine. Dr. Thompson and Dr. Galluch have completed specialized sports medicine fellowship training as well as extensive arthroscopic training. Together, they perform more than 500 arthroscopic procedures each year, focusing largely on shoulder, hip, and knee care. Dr. Zartman received specialty training at the Cleveland Clinic Foundation in foot and ankle surgery and is skilled in treating sports injuries and general orthopedic conditions. Dr. Deboo specializes in hip and knee replacement surgery and practices general orthopedic surgery including arthroscopic surgery and fracture care. 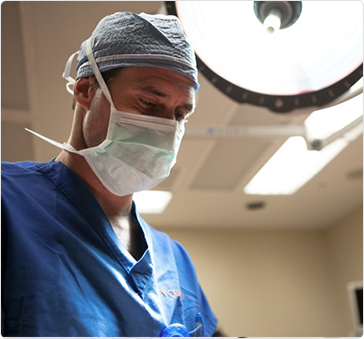 Whenever possible, they perform minimally invasive surgery to speed your road to recovery. They also administer cortisone injections for joint pain and viscosupplementation injections for osteoarthritis of the knee. At Springfield Orthopaedic and Sports Medicine Institute, we provide the best total care possible by collaborating with local physical therapists, athletic trainers, orthotists, pharmacies, nursing homes, and vendors. For more information or to schedule an appointment with one of our sought-after orthopedic experts, call (937) 398-1066 or request an appointment online today.